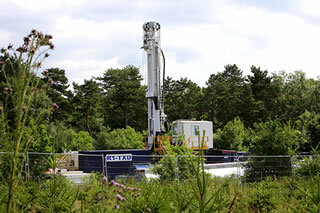 The British Government has announced new financial incentives for local authorities who accept fracking in their area. – Local authorities will receive all the business rates collected from shale gas schemes – rather than the usual 50%. – Business rates commitment would mean councils keeping up to £1.7m extra a year from each fracking site. “The Government is now bribing local residents in a desperate attempt to impose fracking on our communities. But in reality many people won’t be willing to take the risks associated with Fracking in return for the bribe. We know that Fracking is unlikely to cut bills and poses a real threat to our environment. This bribe will mean pro-fracking councils are handed cash that could otherwise have been spent of schools, hospitals and investment in renewables. This entry was posted in Tameside Green Party and tagged Government fracking bribe, Green Party responds, tameside green party, UK Government Corruption by tamesidegreens. Bookmark the permalink.